The first lady and daughters sitting in a private section. This is Knowles' first set of gigs since giving birth. Michelle Obama is with the single ladies this weekend: The First Lady is at a Beyonce concert in Atlantic City. Obama is at Revel Resorts with daughters Sasha and Malia where Beyonce is set to perform Saturday night. The singer's Atlantic City concerts are the first since giving birth in January to daughter Blue Ivy. The crowd cheered loudly as Obama made her way to her seat in a shiny green dress. Some took photos while others screamed her name. One fan yelled, "This is history!" Obama is sitting in a private section. 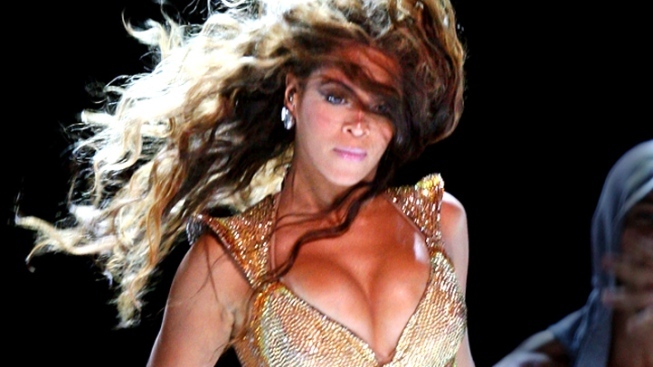 Beyonce performed Friday night in Revel's Ovation Hall and has shows on Sunday and Monday.